Here’s happy girl P!nk (Ch. Mackanme Sparks Will Fly), out on a walk with her owner, Pat Krueger! Two of P!nk’s puppies (Flint and Bling) are now champions! 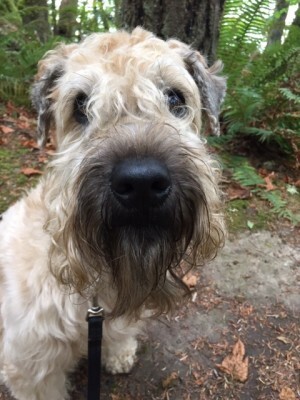 Pat has been great to work with – once again, we breeders could not continue our breeding programs without co-owners who will let us show the dogs and breed them once or twice! 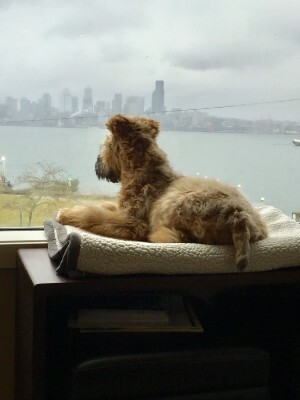 Charlie can definitely keep an eye on things from this perch! They grow up so fast … four months old, and ears up. Watch for Diva at a dog show soon! 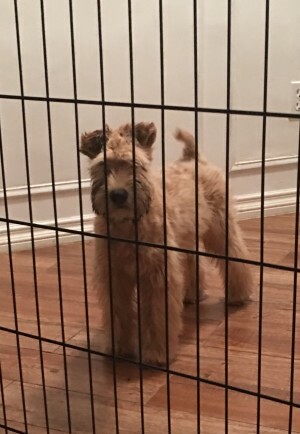 By Jeri | Posted in Our Wheatens | Comments Off on Diva – Ears Up! 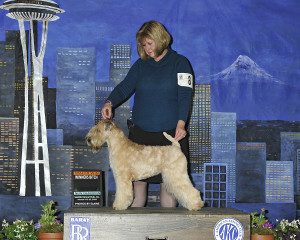 Bling earned her championship at the Seattle shows! Bling is the sister of Flint (who is also a champion), and the daughter of P!nk and Justice! 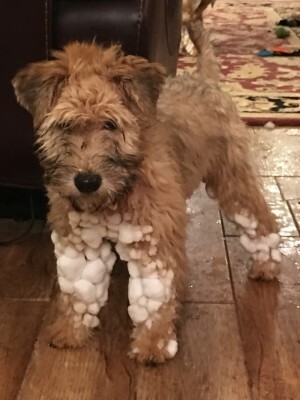 Little stinker … loves the snow! This is Mackanme She Calls the Shots (Diva).